On a hot day, nothing feels as good as a swim. 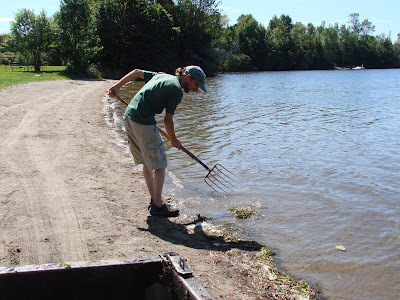 But before you jump in that pretty, pristine-seeming lake, do you ever wonder how clean it is? We all know that appearances can be deceiving, and that even the cleanest looking lake can harbor bacteria, algae, and other lurking nasties. Other mountain parks like Smugglers’ Notch get all the love, but Coolidge is an underrated gem, conveniently located off of Route 100, and not far from a string of beautiful lakes. It’s a rustic, retro location for those looking for a quite weekend in a lovely mountain setting. Sites are well-spaced out, giving privacy, and there are several very remote sites that can still be accessed by car. There are hiking trails in the park, and in the Coolidge State Forest, as well as the nearby Long Trail. When you want to go for a swim, hop in your car and drive 15 minutes to Camp Plymouth State Park on Echo Lake. Show your car tag, and get in for free.